“Visions of Warriors,” our feature documentary about four veterans who participate in the groundbreaking Veteran Photo Recovery Project at the VA Menlo Park and use innovative photography therapy to treat their mental illness, received a generous grant from the Stanford Medicine & the Muse Program, premiered at the prestigious Vail Film Festival, and was selected for an Honorable Mention at the SAMHSA 2017 Voice Awards. Buy "Visions of Warriors" on Amazon Video Direct. Apple iTunes. Google Play. Vimeo on Demand. Or Blu-ray & DVD. 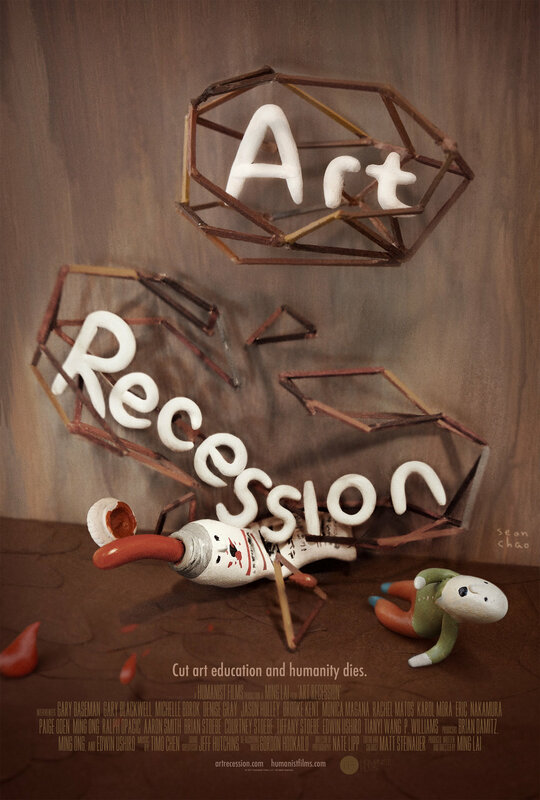 "Art Recession," our feature documentary about the importance of art education, premiered at the prestigious Newport Beach Film Festival, won "Best Feature Documentary" at the respected International Family Film Festival, and is being digitally released by industry-leading FilmBuff. Buy or rent on Amazon. “Journey of a Paper Son,” our short film about a father who reveals to his family that he’s a “paper son” (an illegal immigrant using fake papers), was an Official Selection of a dozen national film festivals and won the Best Short Film Gold Angel Award at the Chinese American Film Festival.